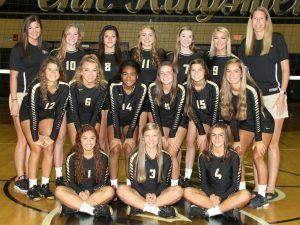 The Penn Varsity Volleyball team beat Riley High School, 3-0, on Thursday, Aug. 24. Julia Beers and Rachel Hickey led the team with three aces each. Alyssa Torres had nine kills and Courtney North had eight kills. Ally Hickey had a total of 18 assists, and Rachel Hickey ended the game with 21 digs.